This is probably my favorite website of all time! I literally browse it when I have nothing better to do because it’s so fascinating. Basically, Google created a search engine for flights that allows you to see how much it would cost to get to anywhere in the world. It’s extremely customizable so you can set the duration of a trip (for example, less than 15 hours total), exclude any airlines you don’t want to fly on, or keep the price below a certain cost. You can easily adjust your dates, and even select a general region like “South America” to see multiple options for the area! It’s the perfect tool for travelers with flexible schedules or anyone who wants to compare trips on multiple airlines. There are so many low-cost ways of traveling through Europe, that it can be a pain to search for so many different options. Rome2Rio is a tool that allows you to input your starting point and your destination, so it can research the best ways of traveling between the two places! They search airfares, trains, buses and most recently: car pooling! Yup, you could pay someone a reasonable fee to bring you with them to your destination! The only thing I would be mindful of is the low-cost airfares within Europe, as the ticket price is posted, but not the charges you may incur for checking baggage – which can be quite hefty! I can’t even begin to describe how much of a lifesaver Trainline (formerly Captain Train) was to me while planning my Europe trip last year. I was trying to book train tickets directly from the French railroad SNCF’s website, but the site refused to accept my card no matter how many times I tried! I even tried with Paypal but they would not let me proceed. I later learned this was due to the high amount of fraudulently purchased train tickets. I had already learned last June to never purchase from raileurope.com as they jack up the prices, so I thought I was ahead of the game when purchasing through SNCF. Well, after my failed charges and days of research later, I finally came across Trainline, a French start-up that allows Americans (and anyone!) to purchase train tickets at the same low prices offered by the national railroad companies like SNCF, Trenitalia, and Deutsche Bahn. They also have a handy mobile app for keeping your tickets organized and scannable aboard the train! Uber is my go-to car service for airport transfers or late night cabs home. It’s especially practical when you’re visiting a country where you don’t speak the language. The driver automatically receives your origin and destination. I’ve never felt unsafe in an Uber the way that I have in a Lyft, not to mention the horrible customer service I’ve received from Lyft after an incident with one of their drivers. I can honestly say that I wouldn’t be able to travel as often as I do if it weren’t for Airbnb. This company truly brought affordable yet comfortable traveling to the masses. Hotels.com offers a free night after booking 10 nights through them, equal to the average price you paid. Not a bad deal to me! Booking.com offers great rates for European hotels, so I always double check if prices are lower here when booking in Europe! I stumbled upon this site by chance, and as the title suggests, it allows you to find places to go in a city as recommended by locals! I’m so glad I checked it out because it helped me discover at least three restaurants and cafés to visit in Munich, including an amazing traditional German café that became one of my favorite stops! The places chosen are generally some local favorites, but keep in mind they are user-generated so you’re going to get a wide range of interests. I personally love eating good traditional cuisine when I visit a new city, so Like a Local was certainly helpful in finding those places! On the Grid is a site I came across very recently. It was created by a group of New York-based designers, and purports to recommend the best spots for the aesthetics-minded traveler to visit, based on recommendations from local creatives. The New York City guide goes pretty in-depth by exploring the outer boroughs, and even including a dedicated guide for specific, less-traveled neighborhoods within Manhattan! Travel insurance isn’t the first thing you think of when booking a trip… until you end up in the hospital room with a strange growth on your face, and difficulty swallowing. slowly raises hand The kicker is you end up with a €300 hospital bill and you gotta pay up! Do yourself a favor, and buy travel insurance so you can have peace of mind as you go about your travels. World Nomads is highly recommended by travel bloggers, and it’s my go-to provider! My trusty credit card with ZERO foreign transaction fees, access to Priority Pass lounges, and even basic trip insurance coverage. Want your foreign ATM fees reimbursed by your bank? Want a debit card with no fees and no minimum balance? Then you need this debit card! Click here to read about why I 100% recommend this card for all travelers. 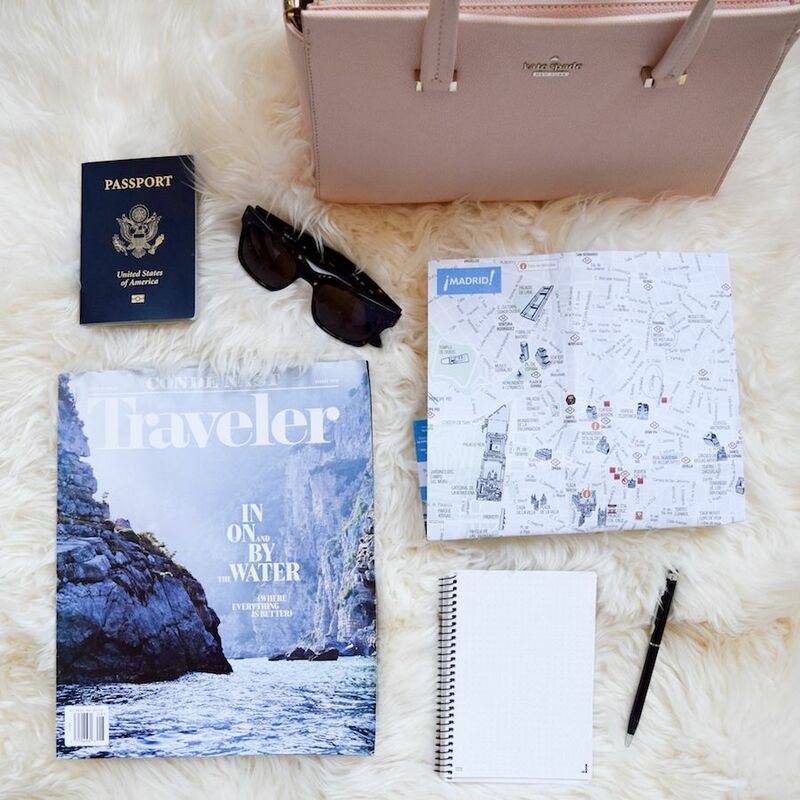 What are your favorite travel planning resources? I recently discovered Rome2Rio and it has been so helpful!! Who knew there were so many ways to get from place to another?! I will definitely look into likealocalguide.com! Thanks for the tip!